It’s a not too pleasant topic to talk about and generally most people in the past have always associated bed bugs with filth–and that’s just not the case now. 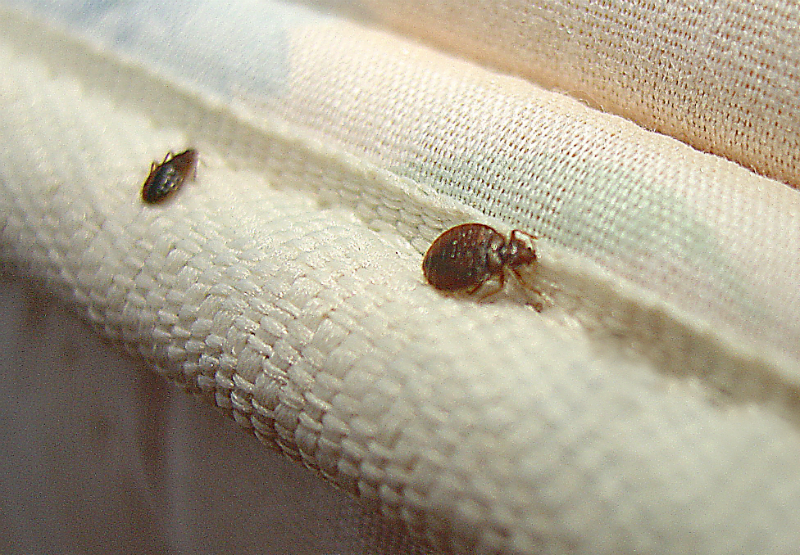 The bed bug wasn’t mentioned too much for many years because we were able to eradicate them with chemicals. That changed in the 70’s and now that we no longer are allowed to use those chemicals bed bugs have come back in force. So what do we do to put up the good fight? First of all…be aware. That means you need to look at your surroundings and the potential for picking up a little hitchhiker. They’re as thin as a credit card and very tiny so they can conceal themselves in very tiny places. They like cracks and crevices and in your home they will generally be in all the tiny places in or around your bed, baby crib or pet bed. One of the major areas to be on alert when you’re away from home is anywhere people sleep. So if you’re traveling and around lots of other people traveling who have all been sleeping in hotels, motels, resorts, cruise ships, cabins and so on take extra precaution because bed bugs like to be around “sleeping people” so they can come out at night and have their blood feast on the human body. When you come home from a trip a good idea would be to lay a large white or light-colored sheet down in a large area and open your suitcases on it. Carefully shake each item to see if any small reddish- brown speck appears. They actually have 6 legs and their appearance color changes after a meal when they become engorged on blood. Should you find any suspicious intruders pick them up and place them in a plastic bag and seal it securely with tape. They can live up to 18 months without a meal so to be safe I’d probably put the first bag in a second bag and seal it securely before taking it to the outside trash. If you suspect they have found their way into your home possibly due to red bite marks you find on your skin in the morning you’ll want to do a complete and thorough search all around your bed. One of the best actions you can take to make sure you’re protected at night is to put your mattress in a bed bug proof encasement. Depending on the type of foundation you have encasements are available for this and your pillows as well. Can you hear your parents saying night night–sleep tight–don’t let the bedbugs bite? Well I heard it growing up, considered it as a funny saying and never saw a bed bug. But times have changed. Make sure you don’t have to say that to your loved ones–and mean it!. We offer a complete 4 piece Bed Bug Protector Kit mattress, box, and pillow encasement that will prevent bed bug getting into your mattress and foundation. If bed bugs are in your mattress and hiding this encasement will enclose them and prevent them from getting out or biting you. Available for Crib Mattresses also.